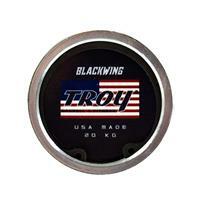 The new TROY Blackwing Olympic bar is 100% manufactured in the USA. 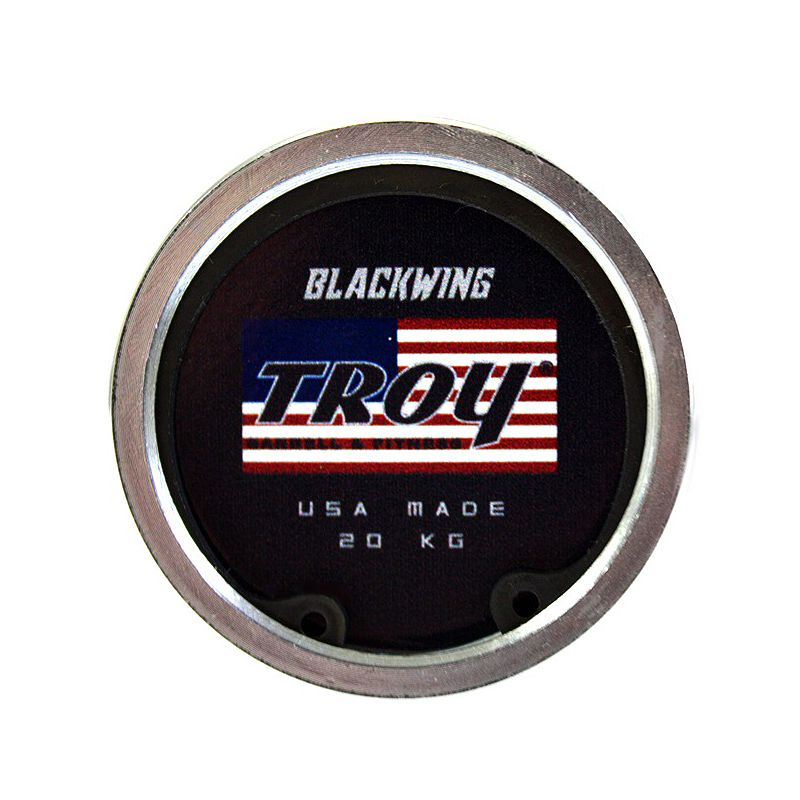 With a U.S. lab tested yield strength of 213,300 P.S.I., this bar is in a class by itself and is so impressive we put the TROY badge on it as the established benchmark for American made training/power bars. 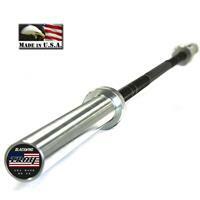 It can be put into any application without worry, and is virtually maintenance free. 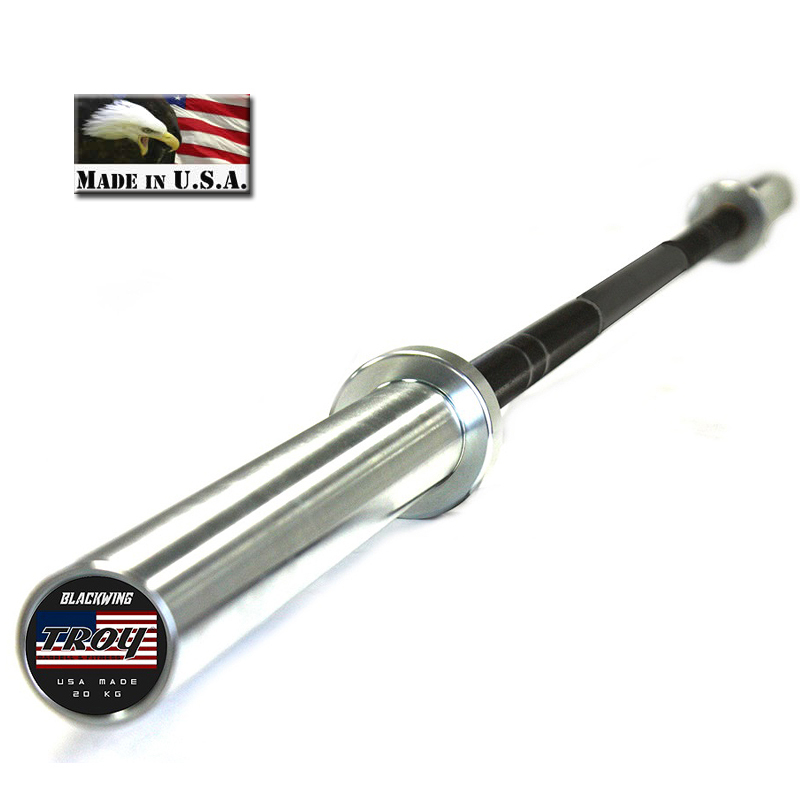 Perfect for use in a professional, college or high school weight room setting. Yield Strength - 213,300 P.S.I.